If you’re facing problems related to the aftermath of an accident, a natural disaster, a theft or an injury, filing a claim with your insurance company might be the only way for you to pay off the medical bills, repairs and other expenses that have to be covered. Sadly, insurance companies are rarely as forthcoming as one might hope. Most of them will even hire their own professional insurance adjusters to make sure they don’t need to pay too much money on a claim, and that the policyholder – a.k.a. you or the members of your household – will back down from their claim. If you have a roofing claim, consulting with a well respected Colorado Springs roofing company prior to meeting with your insurance representative, may give you additional information and some leverage to get the best payment possible when working with your claim adjuster. Personal injury and wrongful death cases, where the injury or loss of a loved one should demand your insurer to provide adequate financial aid. 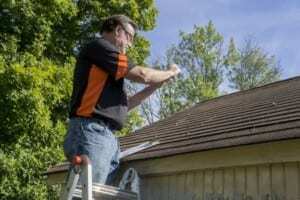 More detailed lists of situations also exist that require the need for an insurance adjuster. With such an expert at your disposal, you will have a far easier time getting your insurance company to agree to your terms.